As part of what it calls a two-year conversation surrounding the November launch of its newest luxury cruise ship, Edge, Celebrity Cruises has unveiled different aspects of the ship. For the “next chapter” of the marketing surrounding the launch, the brand wanted to focus on the ship’s culinary offerings—a challenge, considering the ship has 29 restaurants, bars and cafes. To help bring the breadth of options to life in a concise manner, the brand created a progressive culinary experience that offered a multisensory (read: Instagrammable) journey through the ship’s dining highlights. 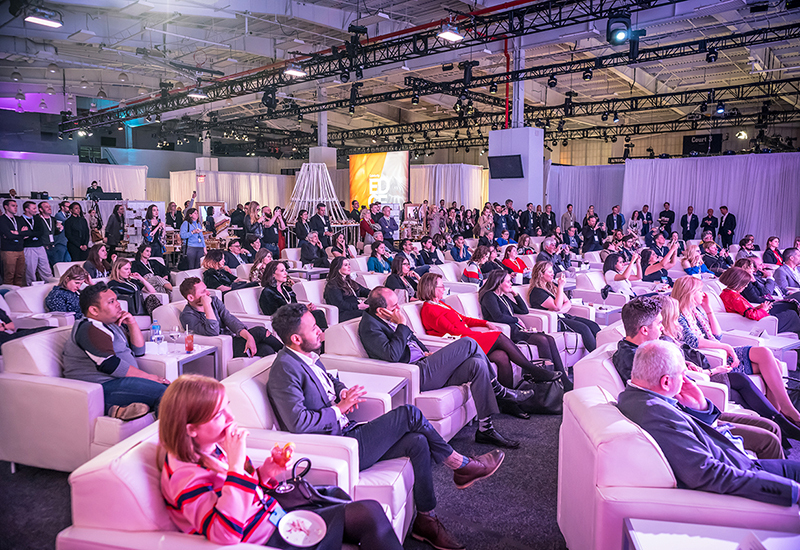 Two events took place, on March 1 and Feb. 28, at Pier 36 in New York City, that featured travel agents, trade and lifestyle press, and influencers. 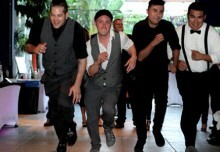 When attendees arrived, they were greeted by Celebrity Cruises employees. They visited a coat check to drop their belongings, received a name badge and then proceeded to a general session theater that offered content and food imagery on a high-resolution LED wall. Attendees mingled, sampled food and sipped on signature cocktails by celebrity mixologist Josh Durr, who developed the recipes for Edge. The evening kicked off with a press conference featuring Michelin-star Chef Cornelius Gallagher who oversees Celebrity Cruises’ food and beverage options, and Nate Berkus, celebrity interior designer and travel ambassador for Celebrity Edge. After 30 minutes of content, attendees viewed a video featuring interviews with Chef Gallagher and the brand’s vp of operations, Brian Able, who told the Edge story. The evening kicked off with a press conference featuring Chef Cornelius Gallagher and Nate Berkus, celebrity interior designer. From there, the attendees were split into three groups of about 50 and guided into three different experience areas. In the main experience, Celebrity Cruises showcased several restaurants on Edge with a different environment set up for each. Two food offerings were served for each restaurant, in addition to drinks. For one restaurant highlighted, French restaurant Normandie, attendees walked through live lavender plants lining the space. For a Tuscan restaurant, attendees were met with an eight-foot-wide pasta machine with sausages and cheeses hanging down offering the smells of its Italian menu. Restaurant Blue was all about textures, with a back wall of blue roses and petals scattered on the floor. In the next space, attendees sat down for a multidimensional dining experience by TableMation that involved storytelling, 3D projection mapping and menu tasting—an experience that will be offered on the ship. 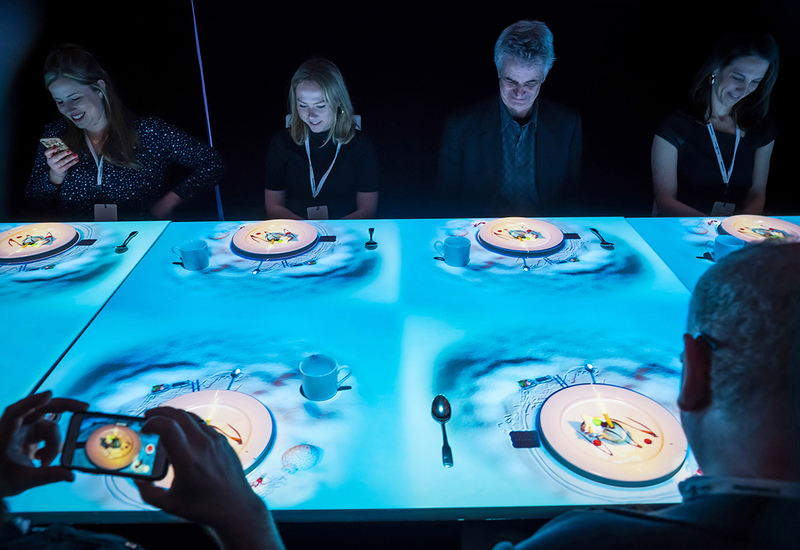 The table surface and plate in front of each guest became the “screen” and images were projected onto them, offering a story about the dish before it arrived on the table. In the penultimate experience zone, Celebrity Cruises showcased its specialty dining options, with textures and design elements guests will find aboard the ship in these areas. Staff and the Celebrity Cruises culinary team were on-site to answer questions about the service. 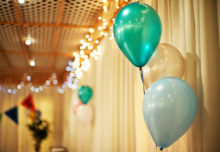 The “finale” took place back in the experience theater, which was transformed into a dessert extravaganza with a live ballet performance, visuals and graphics, and copious cupcakes, macaroons, chocolate pretzels and more, all for the sampling. 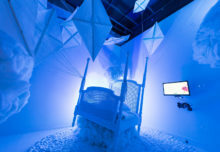 “There’s a history of hosting events when we launch ships, but we took a new approach with this and challenged the conventions in the industry, and so we had the experiential side of the event itself, but then we extended that experience onto social with Facebook Live during the press conference portion, so we could share everything with our consumer guests, not just press and celebrities,” Giorgi says. Agency: Jack Morton Worldwide, New York City.